Enjoy your meal then sit back and relax in this Sheesham Wood chair designed by Aarsun Woods.This dining chair boast a classic design that is both simple and elegant. They are ideal for people who enjoy having coffee in the restroom or outdoor meals on the patio. 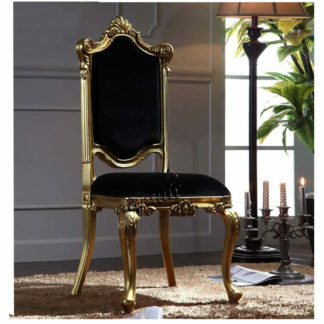 They are also affordable and boast stylish designs, which make them a great addition to any decor. 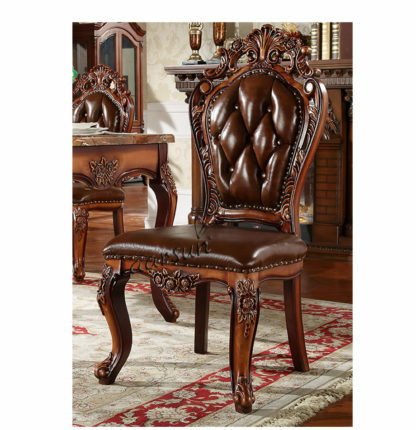 This Beautiful Wooden Dining Chair have floral with leaf carvings.